Ashley Green is a residential property project by Boon Siew Properties located at Bukit Gambier. Comprises 3-storey semi detached house with land area measuring from 2,982 to 8,471 sq.ft. Land Area : from 2,982 sq.ft. to 8,471 sq.ft. Ashley Green original price was less than RM900k when it was first sold .. how did it get to almost double now.. must be lots of profit. After the complain from houseowners, is the house worth RM1.5mil now...there is at least a RM500k price hike since it was sold. This property price was balloon up for no reason. The build up area wasn't so large, but if it sells at 1.5M, makan sendiri lah. As u can see, lots of owners are complaining for all sorts of problems, this will really tarnish Boon Siew image. I was also told Bukit Gambier area was once the massacre ground during Japanese war time. Really scary !!!!! Good luck to those who own those properties !! 1. 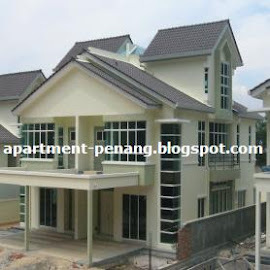 Personal stay, can consider as it is more convenient for accessing to the town. 3. Bad for rental, if we would rent it to expat, the expat will look for security and convenience such as Platino, Bayswater and not Ashley green. can someone tell me whether this area can be upgraded to guarded or gated or G&G ?